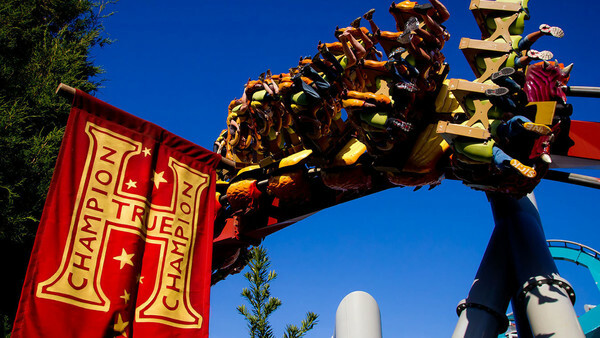 Universal Orlando Resort have finally revealed more details about the exciting new Harry Potter themed roller coaster coming to Islands of Adventure this summer. 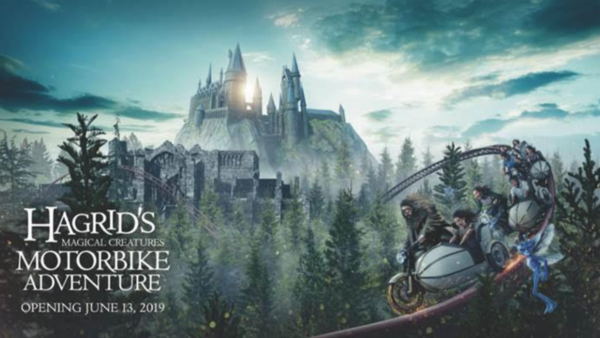 Opening June 13th 2019, Hagrid's Magical Creatures Motorbike Adventure will take guests on a flight through "the paths of some of the wizarding world’s rarest magical creatures". The concept art teases that guests will hop aboard trains shaped like Hagrid's famous motorbike and side car and join Hagrid on a thrilling ride. The new attraction is set to be Universal's "most highly-themed coaster" and we're more than likely to come across a number of the Wizarding World's most exciting creatures as we journey through the ride. Hagrid's Magical Creatures Motorbike Adventure is replacing the thrilling Dragon Challenge which closed its gates in September 2017. Although the new coaster is unlikely to be as heart-pumping as its 5 inversion predecessor, Universal have promised this will be a "next generation thrill-ride". The attraction will bring together "new level of storytelling with an action-packed adventure" in a way that guests will have never seen before. Hagrid's Magical Creatures Motorbike Adventure is set to open on 13th June this year. Expect some more exciting announcements to come soon.